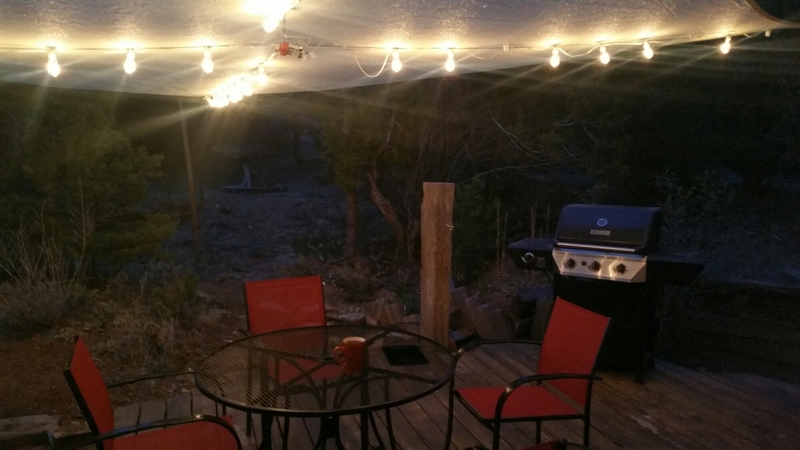 Now that the weather has warmed up, and the spring winds have died down, it is time to start enjoying the back deck. We are down 8 bulbs do to a wind storm last week. But it is still plenty of light to relax, drink some coffee and read a bit.